I have mentioned this a few hundred times on Facebook and Twitter, but I LOVE EASTER IN NEW YORK. 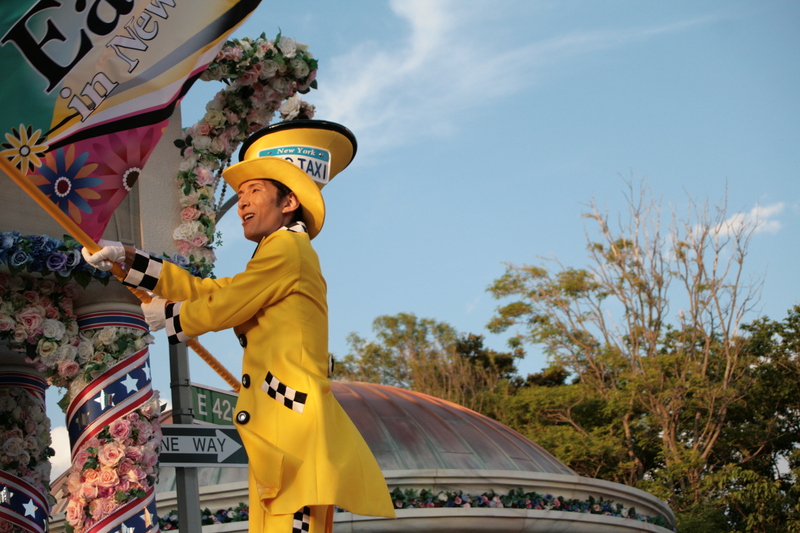 There are many shows at Disney that I love, but this would definitely be in the top 3. Anyway, I have also gotten my husband addicted to this show and we’ve been quite a few times now. Lately we’ve been too busy trying to do the body percussion with the characters that we haven’t been able to take many photos. 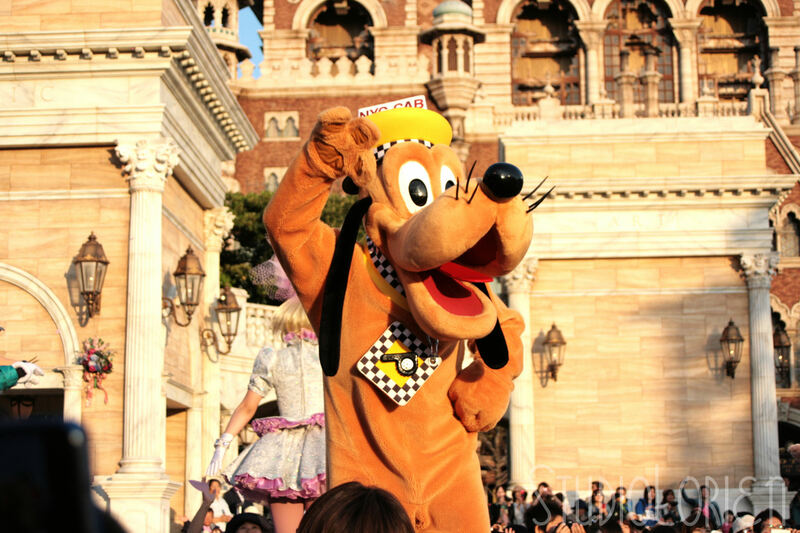 (MICKEY CAME UP TO ME AND DID THE BODY PERCUSSION WITH ME!) Anyway, here are some photos that we got from one of the times that we went. 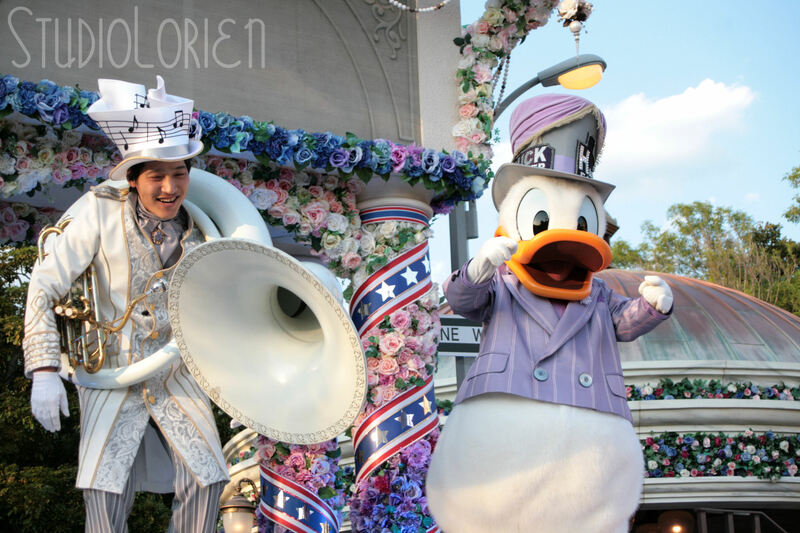 I’m sure you all know by now how much I love Donald. I mean, he’s wearing purple! Who wouldn’t love him?! 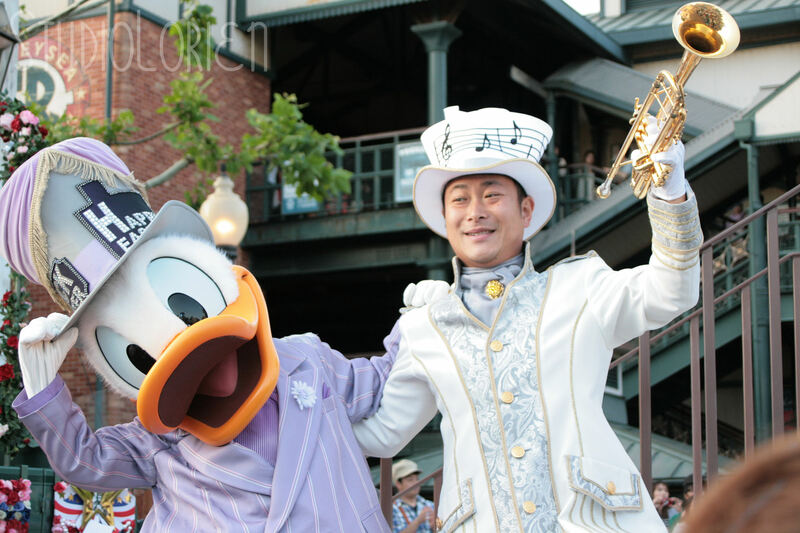 I love when Donald does the poses with this band member. I love, love, love this shot. Me next, Minnie! ME NEXT! I didn’t have too many good shots of Mickey. …Probably because I was screaming at him most of the time. Another shot that I like. Too bad more of the flag isn’t visible. 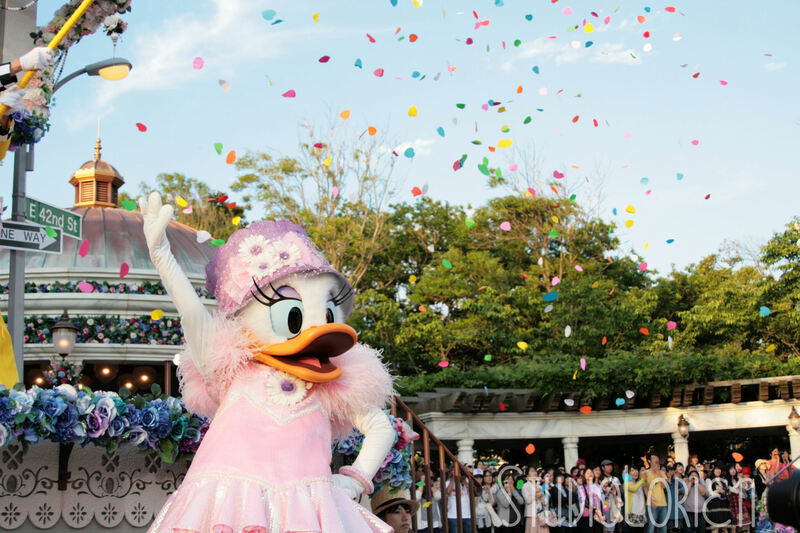 I just realized I have zero photos of Duffy and Shellie May…Hmmm. I have about three more SD cards full of EiN photos so I shall see what I can find. Let me know which character you like the best! 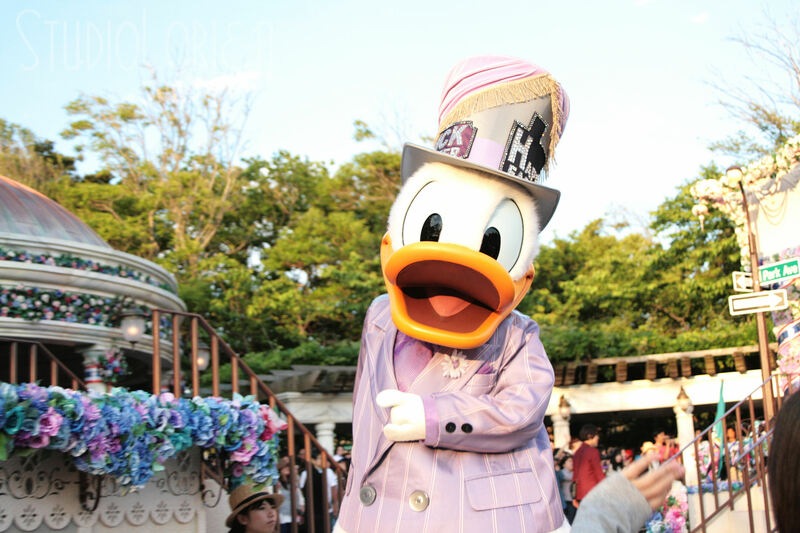 I, of course, love Donald the most :3 I hope we can go again before the spring events end!